In 364 BC, the state of Wei during the Warring States Period founded a city called Daliang as its capital in this area. During this period, the first of many canals in the area was constructed; it linked a local river to the Huang He. When the State of Wei was conquered by the Qin, Kaifeng was destroyed and abandoned except for a mid-sized market town, which remained in its place. Early in the 7th century, Kaifeng was transformed into a major commercial hub when it was connected to the Grand Canal as well as a canal running to western Shandong Province. In 781 (Tang Dynasty), a new city was reconstructed and named Bian. Bian was the capital of the Later Jin (936-946), Later Han (947-950), and Later Zhou (951-960) of the Five Dynasties Period. The Song Dynasty made Bian its capital when it overthrew the Later Zhou in 960, and shortly afterward, they further expanded the city. In 1049, Youguosi Pagoda, or Iron Pagoda as it is called today, was constructed, which measures 54.7 m in height. 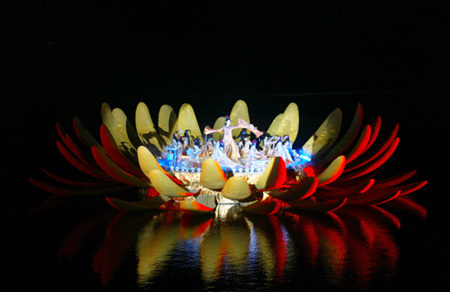 It has survived the destruction of wars and floodings and become the oldest landmark in this ancient city. Another Song Dynasty pagoda, Bo Ta, from 974, has been partially destroyed. The famous painting Qingming Scroll is believed by some to portray daily life in Kaifeng. The painting, of which several versions are extant (the above is an 18th century remake), is attributed to the Song Dynasty (960-1279) artist Zhang Zeduan. 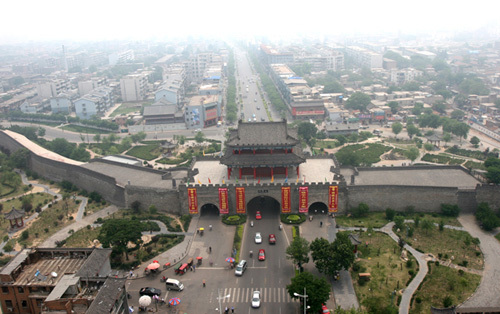 It is believed that Kaifeng was the largest city in the world from 1013 to 1127.